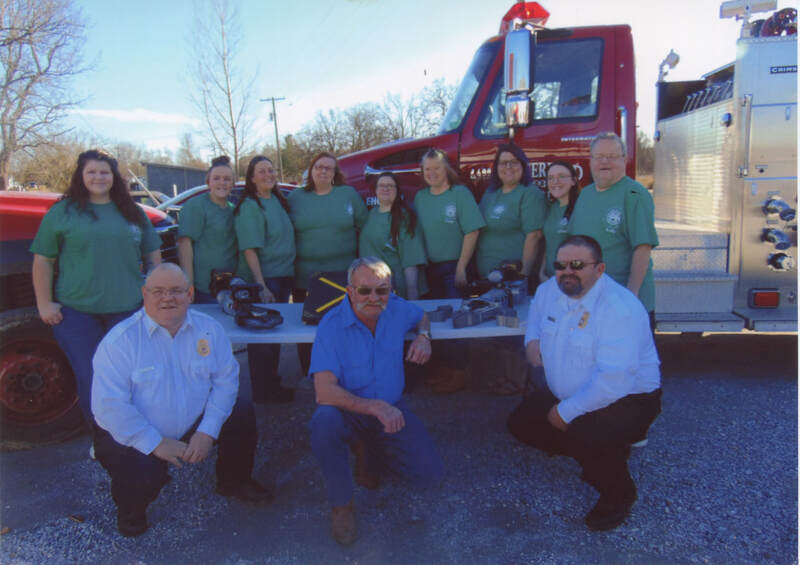 The Butterfield Fire Department recently received extrication equipment they purchased with a generous donation by 1st State Bank in fall 2018. Pictured above, from left to right, in the front row: assistant fire chief Rusty Dilbeck, firefighter Larry Privett and fire chief Donald Privett. Back row are: Butterfield Fire Auxiliary members Nikki House, Makenzi Dilbeck, Staci Dilbeck, Lois Deener, Jennifer Drake, Cynthia Scroggins, Emma Johnson, Schauna Dilbeck and Kelly Wade.